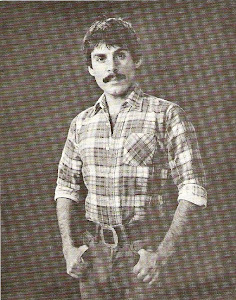 Barry Robins, Jan 12, 1945 - Apr 1, 1986, was (and truly still is) a famous actor. A man of pure talent, he starred in movies, including Stanley Kramer's production of "Bless the Beasts & Children", was a brilliant pianist, an excellent writer, and yes, Barry WAS on Broadway. His works should never be forgotten. After Barry's unfortunate death in 1986, his fame began to diminish, and now there are few people I know who have ever heard of the actor Barry Robins. I will do my best to bring back the memory of this amazing person, and as his nephew, perhaps follow up in his dreams. My name is Asher Edelson, and this is the Barry Robins website. This is the first time I saw your website and I think it's quite nice. 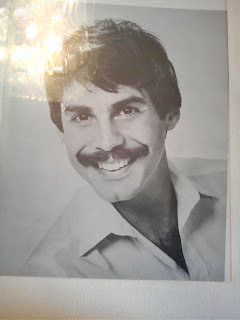 I really like the photo you've posted of him--Barry looked great with a mustache!! I hope to become a member of this website in the future (when I get my internet back!) Meanwhile, please post more photos of him so everyone can be reminded on how good-looking he really was! I love this tribute to your uncle. His work touched a lot of people's hearts and his memory is well served by this blog. Did he ever record his piano playing? you said he died in 1982, but the beginning says 1986. please correct. thank you. to ddbearings: Thank you so much! Yes, his mustache did look good on him! to Bill: Thank you! I am glad to be preserving his memory on the blog; there are not so many places on the web that have my Uncle Barry. My wish is for people to be able to see Barry Robins and learn about him on a website that has all you need to know... with more than one picture. to cubanbach: There are few recordings of it, but I can tell you he indeed played piano brilliantly with no lesson experience. The recordings of his piano playing (along with much of his work) are on really old video tapes in my grandma's house. I hope to get all of it onto disc and to have many copies of it all. I met Barry at a Night Club in Hollywood not long after he filmed the movie Bless The Beast. He was certainly a real sweetheart. How nice! Glad to hear it. I can remember watching "Bless the Beasts and the Children" many years ago....I loved the movie, it was most likely my favourite back then and I had the biggest crush on "Cotton"...I remember having a scrapbook with photos of him the I held dear. The movie haunted me an stayed with me for many years...I actually tried, very adly to down load it...unfortunately I ave been unable to find a copy oy it anywhere...Barry was a wonderful actor and I am very saddened to find tha he passed away so young.... He left an indelible mark in my mind and heart...love to you for this fitting web page.! Your Uncle's performance in "Bless The Beasts & Children" remains, to my way of thinking and feeling, probably the most moving out of the thousands of films I've seen over forty years now. I first saw that movie when I was about six years old, and I never, ever forgot it, nor shall I unless Alzheimer's takes over one day...;) I was saddened to hear that he died long ago, just as I came of age - and again, the whole performance he gave, the chords he pulled through that same performance, remain a very visceral experience. To this day, when I screen the film every now and again, I have never seen it with anyone, choosing to allow myself the experience alone. I'm glad you created this site. God's Speed. Just watched Bless The Beast & Children again. It's the first coming of age story I can remember watching. Your uncles performance was memorable and holds up. Look forward to learning more about Barry through this site. I have ordered it on DVD and will watch it when it arrives. Bless the Beasts & Children had a huge impact on me when I was 14 years old. I saw it as part of my church confirmation classes back in the mid 1970s. The theme of the confirmation process was to "go mad", which stood for 'go make a difference' in the world-- and Bless the Beasts was our example. I think that there was a gay kid in the movie, or at least it was implied. I might mention that my church was and is very progressive, although I don't attend anymore. They advertise as "open and affirming" which means they welcome everyone including gay members. Looking back it was pretty gutsy of my church to be showing Bless the Beasts considerig the adult language and themes. My memories of the film are primarily of Barry and his amazing performance. I see on the credit list that Bill Mumy is also in it and has top billing. But I only remember Barry's role and completely forgot that Mumy was even in it the film. Bless the Beasts & Children really is Barry Robins' movie as far as I'm concerned, and I'm looking forward to seeing it for the second time after all these years. I always thought Barry Robins was cute. The first time I saw him in Bless the Beasts and the Children, I couldn't help but be drawn to his intense eyes and strong chin. Yet these pics I see here show a gentle soul. We need more pics! Professional and personal. PS-See if you can dig up some 'behind the scenes' stories from Bless the Beasts and the Children. If it isn't too forward to ask, but does anyone know where his grave is? Would like to pay my respects. I'm a huge Columbo fan and have watched Case of Immunity often and always wondered about the actor who was so wonderful as the King. It's nice to know a bit more. this is one of my favorite episodes of 'columbo' [i'm watching it as i type], because of the king.☺ i get a kick out of the end, where the king surreptitiously stays behind when the plane splits. the cute little guy is the reason the murderer didn't get away with it. i just loved him in this role! Saw the movie about when I was in junior high. Totally fell in love with Barry Robins. Barry was my friend. We met in summer camp in the Catskills. He was 15 and brilliant, played (by ear) all the music for the camp shows, introduced me to gorgeous music from"flops" and started me on the road to thinking like an artist. Eternally grateful for many of his portrayal of course bless the beasts and the children. I'm watching it now in a town called Fredericksburg Texas that is big on shooting s*** for the hell of it. I will forever thank him for being a part of this. And blessings to all of you who knew him/ part of this family. I'm french living in Paris. I remembered Barry Robins from Columbo ("A case of immunity", 1975) which I could watch again today on TV. I didn't know that he died already in 1986. So sorry he couldn't enjoy the life longer, he would be over 70 years old now. I'm embarrassed to say that I've never heard of Barry Robins until I've seen him on Columbo. ( A case of Immunity). He portrayed king of Suari excellently with grace, charm,some sterness and gentleness. How hansome he was, especially in that military uniform. I look foward to seeing him Bless the beast and children. So sad that his life was taken so young. His family must really miss him. Hope he's continuing his craft up above.